A printing press produces printed materials as its normal production function. The printing press's rollers have to be cleaned periodically during the work shift to ensure quality control. In this scenario, the press is not shut down for the cleaning operation. The printing press is Energized and its rollers continue to spin at a very high speed. In order for employees to clean the rollers they must bypass the printing press's machine guards, and use rags to clean the rollers. This exposes them to serious, ingoing nip point hazards created by the rollers. Severe laceration or amputated fingers could result if the rag or an employee's hand were to get caught in the rollers or in an area between the rollers and a fixed part of the machine. Although the employer has a Lockout/Tagout program for Servicing and/or Maintenance of the printing presses, for this particular cleaning operation the employer believes that Lockout/Tagout Procedures do not need to be implemented. According to the employer, this cleaning operation is exempt from Lockout/Tagout requirements because it falls under the minor servicing exemption and therefore the employer allows the equipment to remain operating during the cleaning operation. Remember, as stated above, the employees are still exposed to the Hazardous Energy of the printing press' during the cleaning operation. Is this printing press roll cleaning activity covered by the Lockout/Tagout standard? Even though this roll cleaning activity takes place during normal production operations, the employee is required to bypass a machine guard and /or place part of his/her body into a point of operation or associated danger zone. The cleaning operation is therefore covered as service and Maintenance which took place during normal production operations. Therefore, the requirements of 1910.147 apply. For more information: Refer to Lockout/Tagout standard parts 1910.147(a)(2)(ii), (a)(2)(ii)(A), and (a)(2)(ii)(B). Incorrect. Actually, the activity is covered by the Lockout/Tagout standard. Even though this roll cleaning activity takes place during normal production operations, the employee is required to bypass a machine guard and/or place part of his/her body into a point of operation or associated danger zone. The cleaning operation is therefore covered as service and Maintenance which took place during normal production operations. Therefore, the requirements of 1910.147 apply. The employer argues that the roll cleaning activity is routine, repetitive, and integral to the production operation and that Lockout is not required because the minor Servicing exception described in 1910.147(a)(2)(ii) is applicable. Is the employer correct? Incorrect. In this case, the employer is not correct. The minor Servicing exception does not apply. Even though the roll cleaning activity takes place during normal production operations and is routine, repetitive, and integral to the production operation, the employer has not implemented alternative measures which provide effective protection from the ingoing nip points of the press rolls. Employees instead are required to bypass a machine guard, which is required by Subpart O of 29 CFR 1910, and place their hands and cleaning rags into the press's danger zone. In the absence of alternative protective measures, this cleaning task is a servicing or Maintenance activity that is covered by 1910.147. In summary, for the minor Servicing exception to apply, each and every element of the exception must be met. 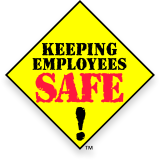 In this case, the work is not being performed using alternative measures that provide effective employee protection. For more information: Read the September 16, 1992, letter of interpretation to Mr. John Runyan of the Printing Industries of America, Inc., for details on how to use safe alternative measures for printing presses.